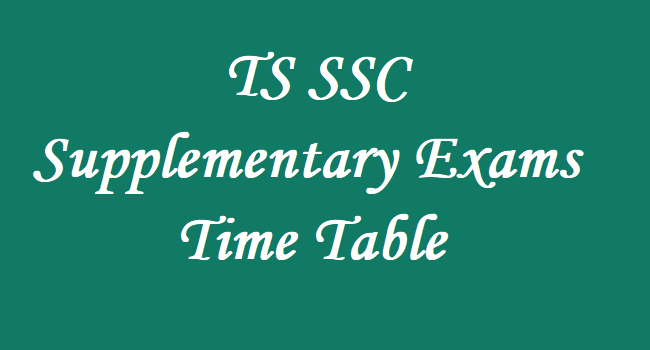 TS SSC 2018 Supplementary Exams Time Table BSE Telangana SSC 2018 June Exams Instructions: The results of Telangana TS SSC 2018 public examinations which were released on April 27, 2018. The Board of Secondary Education, Telangana Hyderabad officials has issued the TS SSC advanced supplementary examinations June 2018 Time Table on April 7, 2018. Officials said that SSC supplementary examinations are scheduled from 004/06/2018 to 19/06/2018 and these exams will be held from 9.30 AM to 12.15 noon. Candidates should pay the fee on or before 21-05-2018. SSC Recounting of Marks applications has to be submitted only at DGE. Re-verification per subject Rs.1000 individual challan should be paid only. 1. The Objective paper -B will be issued to the once failed old syllabus candidates only. 2. The Objective Paper in the old syllabus in the Subjects in which they are given have to be answered in the last hall an hour only except First language Subjects Third Language English Paper -I and II and OSSC Sanskrit Paper I and II for which part A and Part B should be given at the beginning of examination and collected together at the close of the examination. 3. There will be no separate objective paper in the new syllabus for candidates appearing from march 2018. 4. All the Academic course subjects / Papers are common for both SSC Academic Course and OSSC Course candidates. 5. 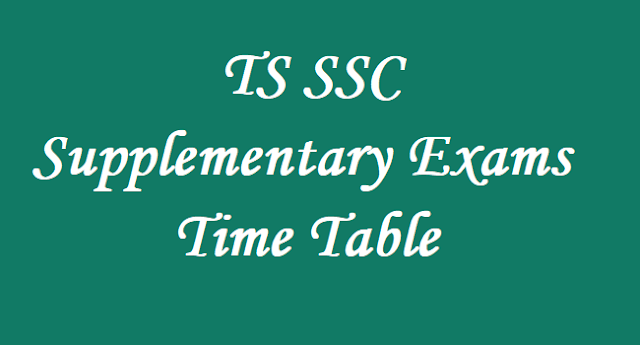 SSC Advanced Supplementary Examinations, June, 2018 will be conducted strictly as per the above time table even if the Government declares Public Holiday or General Holiday in respect of any date / dates mentioned above. 6. The performance of the candidates who answer wrong combination question papers will be cancelled. Hence the candidates are held responsible for demanding / answering wrong question papers. 7. The Performance of the candidate in the examination will be cancelled, if the candidate appears in the examination center other than originally allotted by this office. 8. The subject codes with indicated above are applicable for Private once failed old syllabus candidates only. above time table even if the Government declares Public Holiday or General Holiday in respect of any date I dates mentioned above. 4. The performance of the candidates who answer wrong combination question papers will be cancelled. Hence the candidates are held responsible for demanding I answering wrong question papers.